Hello everyone, please note there has been some changes to dates for this exhibition. 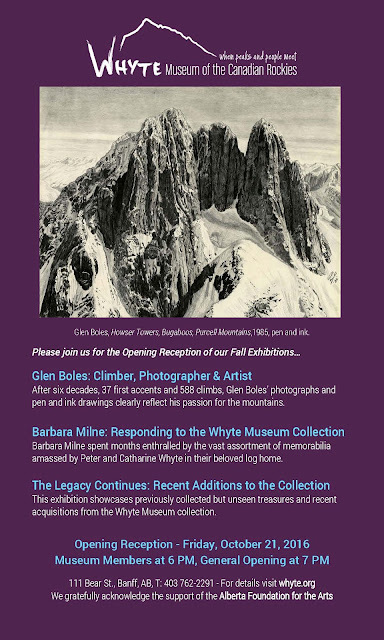 NOTE: The following Exhibit at Whyte’s Museum showing is now Oct. 21st. 2016 – Nov. 20th. 2016. In regards to the reception, the date will be on Fri Oct 21, Museum Members at 6PM and General Opening at 7PM.